You are here: Home / News / October Mahomie of the Month - Meet Susan! 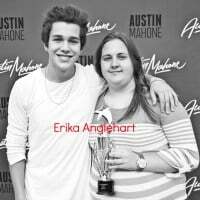 October Mahomie of the Month - Meet Susan! Congrats to our MOTM for October, Susan! Think you have what it takes to be our next MOTM? Sign up here. 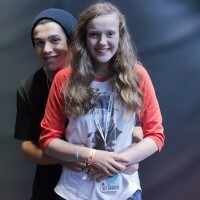 My favorite Austin moment was when I met him on June 28th in Cologne, Germany. It was the most perfect day of my life. 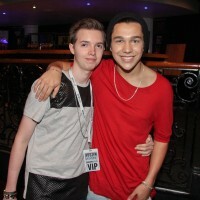 After 3 years I finally got the chance to meet him and he was just really sweet and hearing him singing live was amazing. Selena Gomez, Shawn Mendes and Jake Miller. I would probably go to the Unites States of America because I've always dreamt of seeing the cities like Miami and New York. I've always seen them in movies and I would just like to see it for myself. My favorite song is currently Roses by Shawn Mendes. Latin, I just couldn't understand any of it. My favorite place to go shopping is either online or at the H&M. The coolest thing I will do next summer is to go on a holiday trip with my best friend after graduation.